Amazon.com description: Product Description: With eloquent prose and lush imagery, T. Greenwood creates a heartfelt story of reconciliation and forgiveness, and of the deep, often unexpected connections that can bring you home. Sylvie can hardly bear to remember how normal her family was two years ago. All of that changed on the night an oncoming vehicle forced their car over the edge of a covered bridge into the river. With horrible swiftness, Sylvie's young son was gone, her husband lost his legs, and she was left with shattering blame and grief. Eleven-year-old Ruby misses her little brother, too. But she also misses the mother who has become a recluse in their old home while Ruby and her dad try to piece themselves back together. Amid all the uncertainty in her life, Ruby becomes obsessed with bridges, drawing inspiration from the strength and purpose that underlies their grace. During one momentous week, as Hurricane Irene bears down on their small Vermont town and a pregnant teenager with a devastating secret gradually draws Sylvie back into the world, Ruby and her mother will have a chance to span the gap between them again. 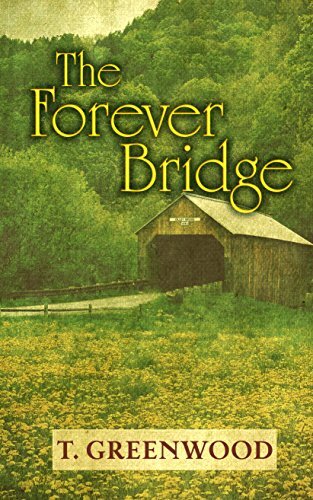 About: With eloquent prose and lush imagery, T.
About: âI loved The Forever Bridge from its first beautiful sentence to its breathtaking final one.